Elite Sport USA goalie glove in youth and adult sizes. Be an animal. Own your goal. Elite Sport goalie glove with 4 mm Black ELITE SGB latex + 4 mm of backing foam. Good latex for a developing goalkeeper or for practice based on the price. Flexible finger and thumb protection. Removable fingersaves in to replace or customize for personal preference. Size 5 does not have removable finger spines. New Elite Sport glove animal black and yellow design. 3D Embossed 4 mm PS latex + 5 mm backing foam. Hi Tech fabric for Air Ventilation Management and more comfort. Elite Sport has designed the Hunter MD goalie glove with a negative roll hybrid. Tighter negative cut for the fingers with a round finger tip. 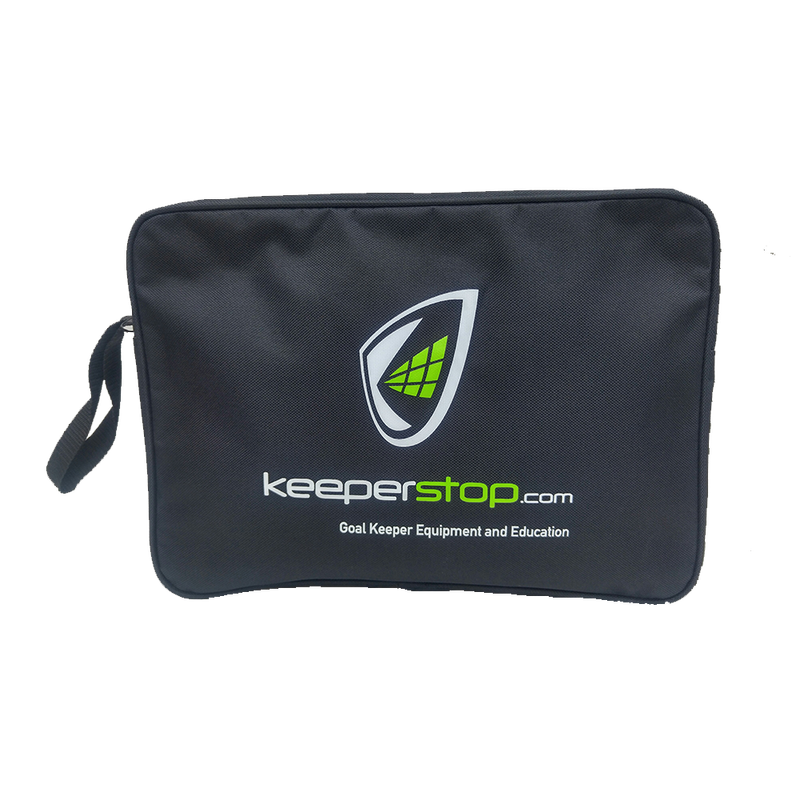 This provides youth to adult goalkeepers a tighter fit with more ball control at the finger tips. Really great feature for a glove at this price. Wrapped thumb for additional latex to ball contact. 10 cm wide elastic wristband and 360, 9 cm wide latex wrist strap for better fit. Youth to adult male of female developing goalkeepers. Depending on need and budget could be a practice or game for developing soccer goalies. The Elite Sport Hunter MD glove ships from the USA. Goalie glove size 5 and 6 can be considered junior sizes. 7 - 11 are traditional adult sizes. SInce this is a goalkeeper glove with youth and adult sizes this may fit slightly different. Call with sizing questions. Love these gloves! I stumbled across this website by mistake and an so glad I did. I emailed the owner for assistance before ordering and got a quick response. I ordered these based on their suggestion and my son loves them! He noticed a difference immediately upon using them. I will shop here from now on. Price was great, u can’t get this quality from Academy. Son loves them, I wish they would magically block everything for him but he loves them! Great customer service, measurements were perfect! Good product and reasonable price. So far very pleased! Bought for my boys ages 11 and 12 who play for the town travel team. They both like the feel of the glove, the grip, and of course the look! Gloves have been worn in both dry and wet conditions and have worn well. For the price, might be worth having a practice pair and game pair. Fast Shipping! Great glove, fits well and the design is really cool ! Definitely worth it ! I play high school soccer. I have about 3 games every week and a few tournaments here and there. And these gloves are amazing. They have really good grip. The foam is not too thick, but thick enough where you don’t feel the impact of the shot. The back also has foam which makes it really comfortable. I’ve played 7 whole 80 minute games, and they are still in top shape. Absolutely recommend these gloves. Got these awesome gloves for my 11 yr. Old and she loves them..Thus far they have held up pretty well, being that she uses them 3X a week for practice. Bought these for my 8 yr old son who plays travel ball. These have a great fit and are very comfortable.